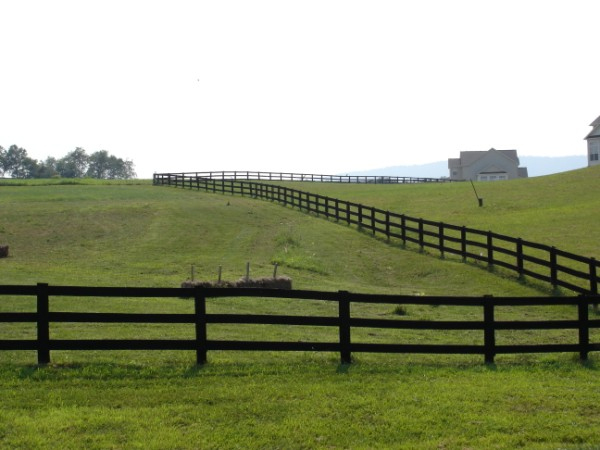 Looking for a pasture fence in Richmond, Virginia? Hercules Fence of Richmond can give you the pasture fence for your property that suits your needs. 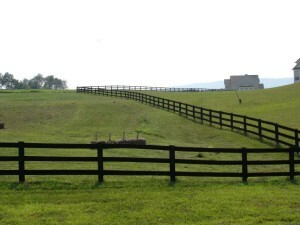 Pasture fences are necessary for large properties such as livestock farms or horse farms. They both keep your animals safe and secure, and keep motorists safe from animals wandering onto nearby roadways. We have several options for pasture fences including the classic 3 board paddock look, which will both give your property that rustic look and last a long time. Wood of course is the traditional pasture fence material, but that’s not your only option. PVC fencing does a great job of imitating wood and stands up very well to the elements. Even if you don’t have animals, a pasture fence does a lot for adding curb appeal to your home. For more information on fences that you can use for your farm, pasture, or paddock, contact us today. This entry was posted on Friday, April 11th, 2014 at 8:45 pm. Both comments and pings are currently closed.